Miss Fake It 'Til You Make It: What are the Best Sunscreens? 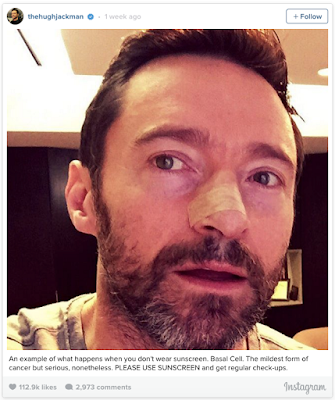 Last week Hugh Jackman revealed his 5th bout of skin cancer. Despite all his fame and fortune, without his health this action hero is powerless. 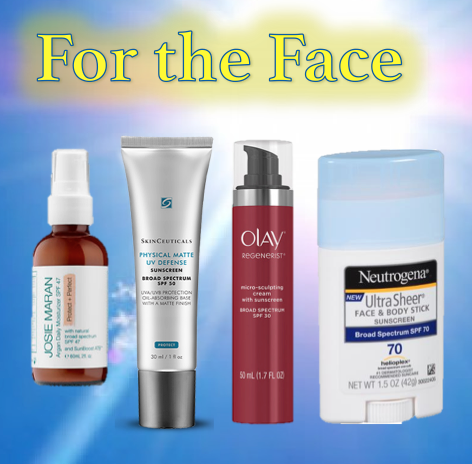 This got us thinking about the best sunscreens on the market and the importance of using a daily defense against the sun’s harmful UV rays. We’ve collected a range of face and body SPFs that not only combat sun exposure and protect you from harmful UV rays, but are formulated with innovative ingredients, so your skin actually becomes healthier with regular use. A new and improved hydrating, fast-absorbing, non-greasy, Argan Oil-infused daily moisturizer featuring all natural sunscreens, green tea, and innovative SunBoost ATB™. This all-natural, chemical-free, lightweight sunscreen moisturizes the skin with a non-greasy texture. It features skin-loving ingredients such as green tea, titanium dioxide, zinc oxide, and innovative SunBoost ATB, resulting in powerful sun protection. This product includes all the benefits you'd expect from an Argan Oil-infused daily moisturizer: skin-nourishing, texture-smoothing, and radiance-boosting. Ultimate protection plus beautifying benefits—true bliss. High-protection SPF can be challenging for combination and oily complexions, often creating a heavy look on the skin and clogging pores. Physical Matte UV Defense has a proven dual function against sun and shine, providing SPF 50 broadspectrum coverage in a weightless mousse texture. The aerated silica technology is able to absorb up to 15x its weight in oil, and the optimized smoothing base and translucent color spheres refine and perfect the appearance of skin tone and texture. The formula is noncomedogenic, and proven to maintain a matte finish even in hot, humid conditions. If you’re a multigenerational fan of Olay, then you’ll love their new daily moisturizer fortified with Broad Spectrum SPF 30. This moisturizer with SPF has an advanced Amino-Peptide Complex to penetrate deep into the skin’s surface to visibly reduce the appearance of wrinkles. The luxurious-feeling moisturizer immediately leaves skin hydrated and softens the look of fine lines and wrinkles, while simultaneously protecting your skin from the sun with Broad Spectrum SPF 30. It also restores skin’s elasticity with plumping hydration. Get a dramatic transformation without drastic measures with this moisturizer with SPF 30. We love this SPF as much as lifeguards and beach bums combine. This moisturizing sunscreen formula will protect your skin from harmful UVA/UVB rays while enriching your skin with Vitamin E, an antioxidant that helps to neutralize free radicals, which are the main cause of premature skin aging. This CoolDry Sport Sunscreen lotion provides superior protection during even the most intense conditions. With new MICROMESH™ technology, this sunscreen allows sweat to pass through and evaporate away while clinically proven, durable protection stays right where it should. So your skin stays naturally cool, comfortable and protected. 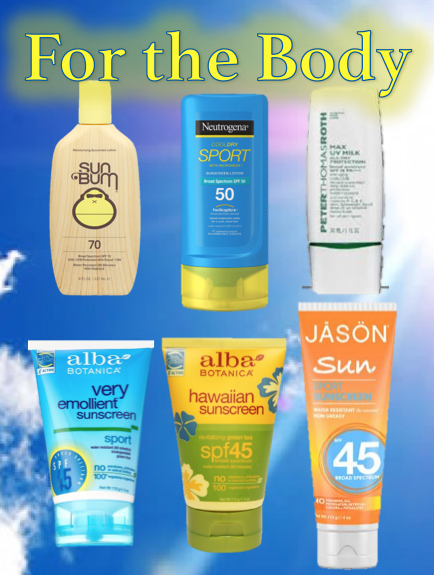 Take sun protection to the max. Max UV Milk All Day Protection combines a luxurious, silky, lightweight texture with high-level SPF 50 sunscreen technology that’s ideal for layering over your moisturizer. It’s a mineral sunscreen with anti-oxidant Vitamins A, C and E to help shield skin from the aging (UVA) and burning (UVB) effects of the sun. The number one selling sunscreen brand in the natural and grocery channels, is pleased to add a NEW sunscreen to their collection, featuring the highest level of mineral protection yet. The Very Emollient™ Sunscreen Sport Mineral SPF 45 provides broad spectrum UVA/UVB protection and is water resistant up to 80 minutes. What’s more, as a commitment to being eco-friendly, the formula is 100% vegetarian, biodegradable, reef-safe and never tested on animals. It has earned the coveted Skin Cancer Foundation Seal of Recommendation, a first for any brand in the natural channel. A botanically moisturizing natural sunscreen that provides broad spectrum UVA/UVB protection as defined by the FDA. Perfect for daily wear, this revitalizing lotion is non-greasy, quick-absorbing and water resistant for 80 minutes. Aloe Vera, Green Tea and Sunflower Seed Oil absorb quickly to nourish sun-exposed skin. Recommended by the Skin Cancer Foundation. This water resistant formula is ideal for hours of rugged activity even in the water. With broad spectrum, long-lasting protection, it helps prevent premature aging due to prolonged sun exposure and utilizes antioxidant Acai Extract to protect skin against free radicals.